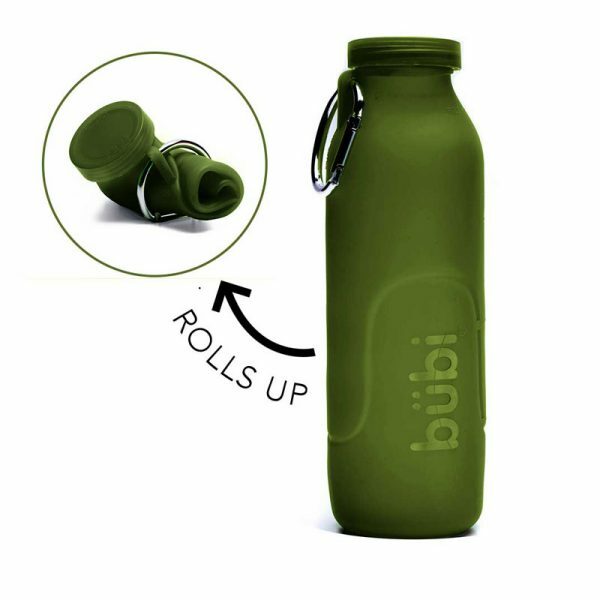 Bubi Bottle is the water bottle combined with both durability and fashion. The 35 oz is an essential for outdoor activities, sports and completing your hydration goal. Our 35 oz is the fan favorite for tailgate days, hiking trails, or for all day hydration. 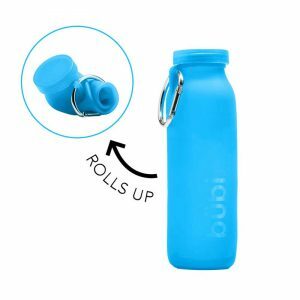 This foldable water bottle also rolls up to fit into your purse or backpack. 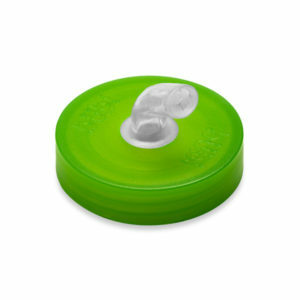 It is made with BPA-Free silicone and also puncture-resistant (alligator approved)! Bubi is easy to clean: flip it inside out to get all the junk out or throw it in the dishwasher (on the bottom rack too!) Most of all, it is ready for your average day or biggest adventure yet. I love the different colors they have. Also the fact i dont have to worry about making sure my three children can break if dropped. I received my bottle a few months ago and have been using it ever since. I travel quite frequently for work and it has been extremely useful. It has provided economical savings as I haven’t needed to purchase water bottles every time I travel. This bottle has provided an environmentally positive solution to staying hydrated. It rolls up easily and doesn’t take up much space in my bag. Utilizing the recommendation to place tea in the bottle for a bit got rid of any plastic odor. I have recommended it to all my colleagues. 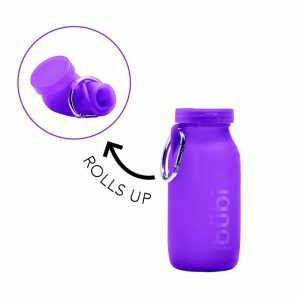 Love this bottle, leak proof and squishy, can sneak itinto events where you’re not allowed to bring beverages because they can’t feel it in your purse! Beautiful, practical and easy to maintain. I fold it and keep it in my work bag and refill as needed. I got the orange one and love it! Very pleased with this bottle and their customer service! There was a small issue with my order, the sports cap wasn’t sent. I called the customer service number and was immediately taken to a PERSON and not an automated message. They are shipping out my missing piece today, I appreciate their prompt resolution. I am very happy with the Bubibottle. It is soft and carries enough water for a hour or two hike. 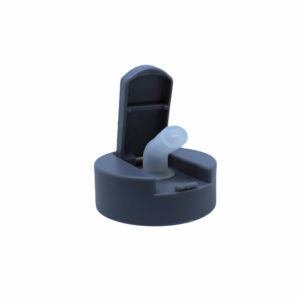 The best feature is that you can squeeze the air out to minimize the sloshing and to keep the noise down. Great for wildlife viewing or hunting. The only down side was the sports top, I could not get much water out without squeezing very hard. Even then it was not much of a gulp. I think I just need to make the hole a bit larger. All in all it is exactly what I have been looking for for years. I would love to get it in a Real Tree Max-1 XT Camo pattern. Love this Bubi Bottle! It is the perfect size for lunch boxes or to hook onto a backpack, and I appreciate its versatility. It is also simple to clean, which is important to me. My kids and I are big fans. Hi- I love the 35 oz bottle. Perfect to fill up and keep in the car for day trips. Great way to keep hydrated. I love my new liter bottles! There were times when a larger bottle would’ve been better than loading a couple of smaller ones. Ching! That was easy! Thanks for making these. My favorite use is bringing cocktails to the pool. Glass is not allowed in the pool area, so I just mix them up right in the bottle, toss them in the cooler and voila! I’m loving my bottles (yes I have 3!). Get the sport cap because it really makes the portability and spillage (if you forget to put the cap on and knock it over!). The fact that you can turn these inside to wash them is simply brilliant. Thanks so much for the great review. We are glad you like them and look forward to hearing more if you have a chance to post a photo on Instagram.